The National Army Museum in Chelsea is a leading authority on the history of the British Army. 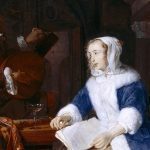 The museum examines the army’s impact on society, past and present, and looks at the Army’s role from the British Civil Wars to the modern day. Through their collections they preserve and share stories of ordinary people with extraordinary responsibilities. 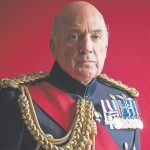 The museum is for everyone, no matter what they think about the British Army, and the museum’s aim is to connect the British public with its army, regardless of age, gender, race and religion and to provide a fun, interactive space for all the family. 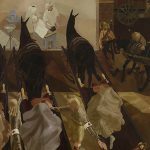 This major new exhibition brings together over 40 original Munnings’ wartime paintings, from his time with the Canadian Expeditionary Force during the First World War, and shows them in public for the first time since they were exhibited to great acclaim at the Royal Academy in January, 1919. Alfred Munnings was just finding fame as a portrait artist and painter of British rural life when the First World War broke out in 1914. Blind in his right eye, he was denied a role in the Army on medical grounds. But, in 1918, he seized the opportunity to go to France as an official war artist working for the Canadian War Memorials Fund. 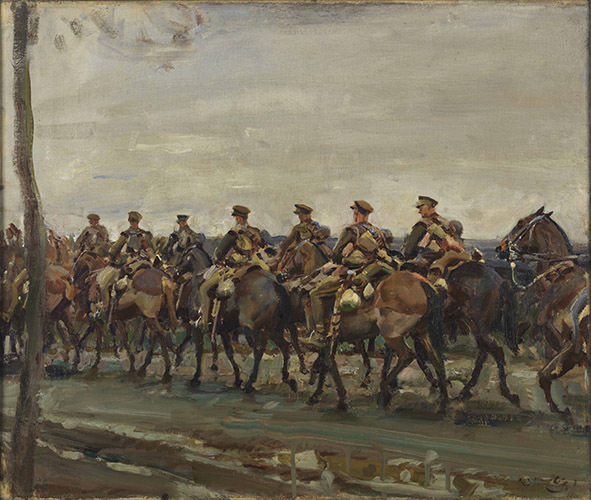 Munnings provided an insight into the men of the Canadian Cavalry Brigade and the Canadian Forestry Corps. His paintings demonstrate both the important role of the cavalry on the Western Front and the vital work behind the lines that sustained the war effort. These impressionist paintings cover equine subjects, portraiture and pastoral landscapes. They highlight the role of horses in military operations, capturing their beauty in the war-affected landscapes of France in 1918. 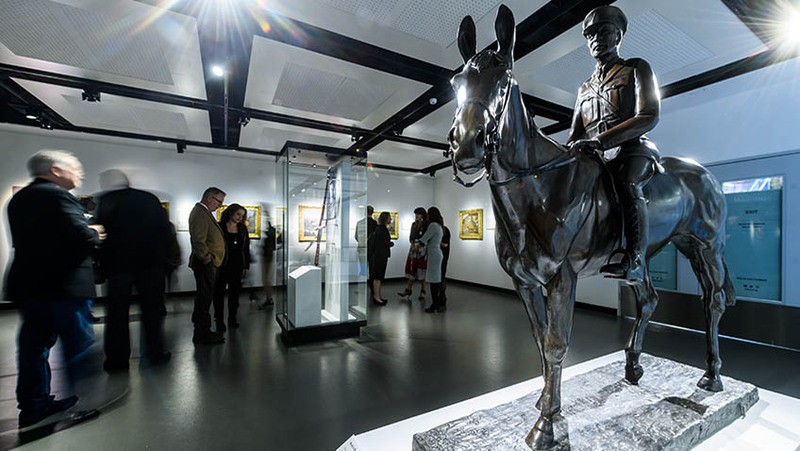 The exhibition has been developed by the Canadian War Museum (Ottawa, Canada), in partnership with The Munnings Art Museum (Dedham, UK) and generously supported by The Beaverbrook Canadian Foundation. Local support kindly provided by Juddmonte. On Friday January 25th, Professor Rainer Schulze presents a discussion on the British Army’s involvement in liberating Bergen-Belsen concentration camp at the end of the Second World War. This was the first major concentration camp to be liberated by British troops but it was weeks before a common British narrative of the liberation evolved. Professor Rainer Schulze will discuss the contrasting and competing themes – some emerging from eye-witness accounts, others shaped in London – which led to the widespread view in Britain of Bergen-Belsen as the foremost Nazi horror camp. A key part of all these narratives was the portrayal of the liberation of Bergen-Belsen as Britain’s finest hour in the Second World War.